Situated on seven beautifully landscaped acres just four miles south of Old Town Alexandria, historic Hollin Hall and the Meeting House can accommodate a variety of special occasions. 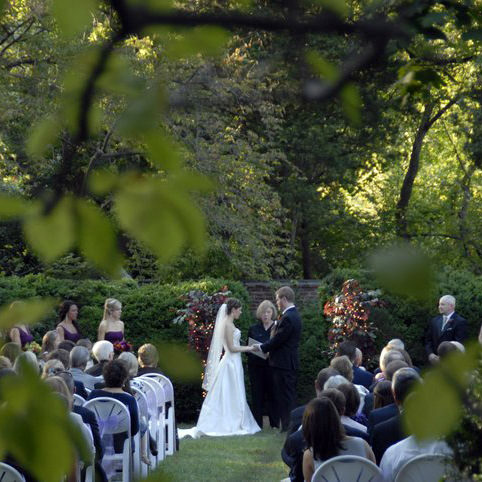 Hollin Hall offers two lovely indoor reception sites and a picturesque walled boxwood garden to accommodate a variety of special occasions from small parties to wedding and commitment ceremonies to larger receptions. 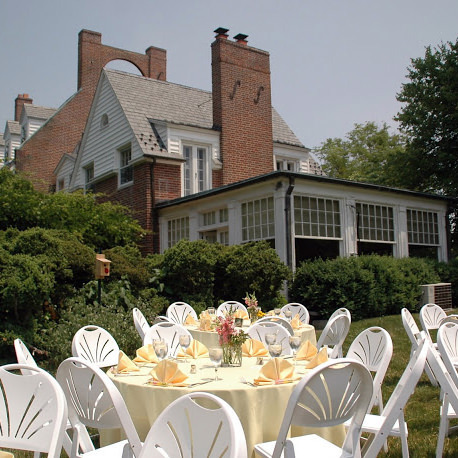 The Main House can accommodate 150 people for a stand-up reception and 80-90 people seated. It features four separate rooms, a formal entry hall, and modern kitchen. The Meeting House can accommodate 225 guests standing or 150-175 people for a seated reception. A beautiful slate terrace adjoining the Meeting House and facing the walled boxwood garden provides an outdoor reception and elegant cocktail space.